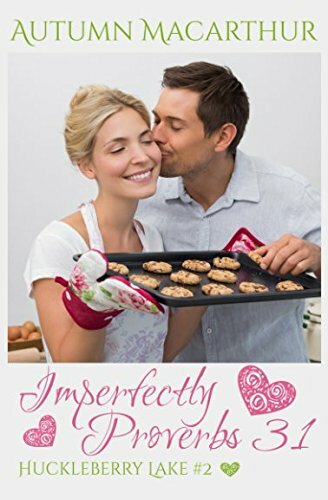 Imperfectly Proverbs 31 by Autumn Macarthur is a delightful Christian romance exploring the themes of faith, forgiveness and the Father. It is the second book in the Huckleberry Lake series. There are lessons for us all to learn. The world, especially the media puts pressures on us all to be ‘perfect.’ Social media shows a snapshot in time not the reality behind the picture. ‘Perfect’ does not mean ‘without flaws’, it is a myth we are all trying to live up to. God looks at our hearts. We need hearts and lives aligned with His. People misrepresent God. “Don’t make the mistake of judging God by His people.” Some paint a God who sits in judgement but nothing could be further from the truth. God is love. It is in His nature to love. He doesn’t love because He has too but because He takes delight in us. It is wrong of us to paint God in a bad light and put others off knowing Him.